Removes excess oil+ Mattifies skin. Wet hands and face. Squeeze gel into hands and gently massage onto face. Rinse with water. For optimal results, alternate use with Clean + Blackhead Eliminating Scrub. Rated 5 out of 5 by Jaebird from My new best friend I am totally, undeniably, 100% head-over-heels in love with this face wash. I have the oiliest T-zone on planet Earth and have been struggling with trying to find the perfect skincare routine since I was a teenager. 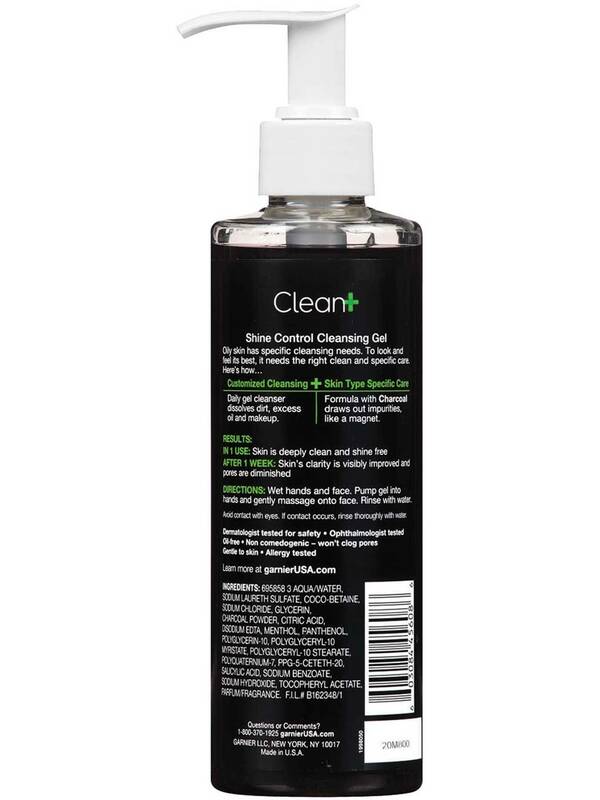 I tried so many cleansers with so little success that I gradually gave up, but then I tried this one day on a whim, and the clouds parted as a heavenly choir descended from on high. This is, without a doubt, the BEST shine-reducing wash I have ever used. Typically I can't go ten minutes after washing my face without becoming a nightmarish oil monster, but this keeps my formerly-glistening forehead and Rudolph-esque nose matte and clean all day, even after hours running around outside. It's amazing. I've found my magical elixir and I'm never going back! Rated 5 out of 5 by maricoupons from ASTOUNDING FACE WASH This face wash is, truly, in the top 3 washes I have ever used. For someone with very oily skin, it leaves my skin soft and fresh for a long time. More importantly, for someone who wears makeup on a consistent basis, this makeup completely removes any trace of makeup from your face. With a small squirt, it takes off mascara, liner, foundation, etc. and leaves a crisp, fresh, feeling on your face. It has a minty smell to it, it's amazing. I also have very large pores and it minimizes the sight of pores on my skin. I think for the price and quality, it is unbeatable. I've already told 3 different friends about this and 10/10 would recommend to everyone. Rated 4 out of 5 by kristawatkins from Interesting My first impression when I got this was "oh no! Am I going to be like that YouTube charcoal fail?" But once I put it in my hands it wasn't gritty or anything. It's actually very smooth. I almost wanted it to be a little more gritty! It went on smooth and after a couple days I did notice my oil wasn't as bad by the afternoon. Overall pretty good product but since it was black in color I was expecting it to be more gritty! Rated 5 out of 5 by JazzyMommy from Bye Bye Shine I have always been excessively picky unfortunately. Lately with the heat, oily skin + makeup just do not mix. My skin has been breaking out pretty badly and no other products seemed to really be helping. When I tried the Garnier Clean + Shine Control, it was like all my requests were answered. It worked wonders on my skin within a few days I was acne free. I was afraid that maybe it would dry out my skin, but it didn't. It did what it was meant to, clean your skin and clear the oil. My oily skin improved and my acne cleared up. I know my husband didn't necessarily like the scent, however I had no issues with it. It smelled like men's aftershave or cologne and I didn't mind it. 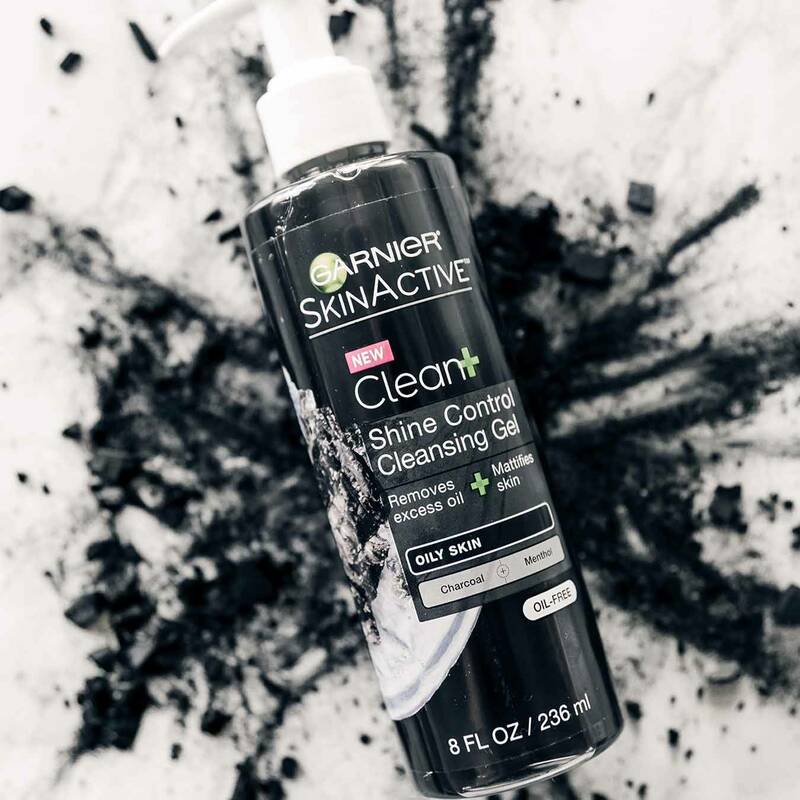 I will most definitely be recommending this awesome charcoal wash. Rated 5 out of 5 by littlesqueek from Amazed and Happy! I have very oily skin and have tried numerous brands, home remedies and those over priced products. 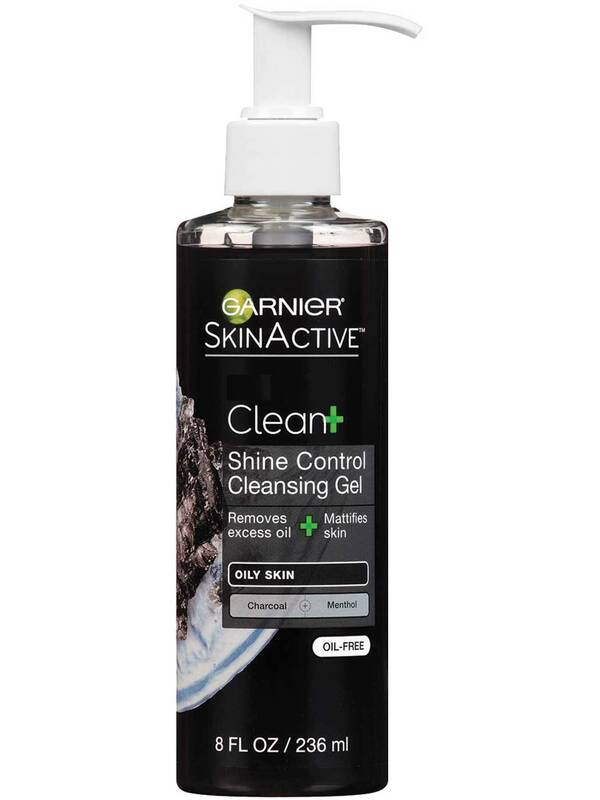 Nothing has reduce the shine and left my face feeling refreshed, until I used Farmer's Clean+ Shine Control Cleansing Gel! Within the first week the my skin was under control! The shine and oil was reduced by 75% and the longer I kept using it the better it worked. I feel more confident with my natural skin and found myself to be wearing less make up then before!